Iceland Poppy 'Artist's Glory' are perennial poppies, with long stems and large beautiful fragrant flowers from May/June to September in a mix of white, yellow, orange and red shades. They grow to a height of 40-50cm and grow well in borders and containers. They are good cut flowers. Iceland Poppies grow best in full sun to part shade and well-drained soil. Pack of approx 1000 small seeds. Sow in autumn or spring directly in the ground. Autumn sowings flower earlier than spring sowings. Plants self-seed. Sowing instructions and a colour photo are printed on the packet. Sow in spring or autumn directly in the soil, on the surface of a prepared seed bed, and rake over lightly. Seeds germinate in 2 – 4 weeks once the temperature reaches around 12°C to 15°C in the spring. Sow seeds in a pattern, such as a circle or cross, as this helps identify poppy seedlings from weed seedlings. Sow more than you need, and thin as needed, as the seedlings can be affected by damping off. Water young plants regularly if conditions are dry, and remove competing weeds. Plants need very little attention once established. Cut back plants after flowering or in early spring. 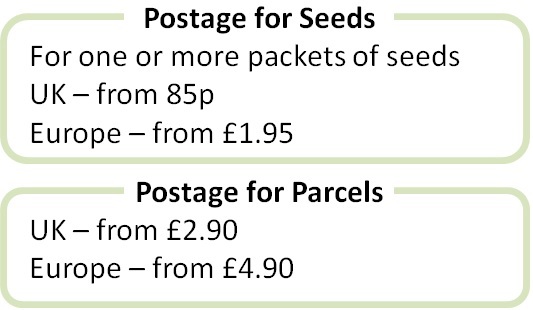 Leave seedheads on the plants over winter if you want them to self-seed.